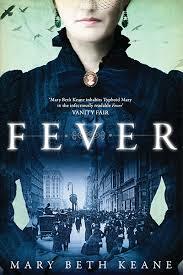 Synopsis: Mary Mallon – also known as Typhoid Mary – has cooked in many big houses in New York. She doesn’t think anything of the fact that often the families contract Typhoid fever. It is prevalent in New York as a whole and many people die from it. However, when a new theory of germs and carriers gains popularity, Mary finds herself held in quarantine while they do tests on her. Before reading this, I had no idea that Typhoid Mary was a real person. Of course, I’d heard the phrase used. Now, having read Mary’s story, it seems a shame that this should be her legacy. Imagine that was your contribution to the world, what you were famous for. Very depressing. The story itself is interesting. At first, Mary could have had no idea that she was spreading the disease. The theories about germs and about healthy carriers were in their infancy and the authorities clearly had no idea what to do about it. Mary is arrested and taken into quarantine but she does not go without a fight. It is this fighting spirit that constantly works against her. While, undoubtedly, there were real public health issues at stake, there are also issues of class, race and gender. Mary is unlucky enough to be Irish, working class and female – three ways in which she is powerless. Newspaper stories suggest that she had ideas above her station and was infecting the upper class houses on purpose – a disease based class revenge. Eventually, Mary is allowed back into society on the promise that she will never cook for anyone again. But cooking is the one thing that makes Mary feel alive, the one thing that she is good at. And she still doesn’t really believe that she passed on the fever to others so she starts a job at a bakery. While the modern part of my brain, the part that knew she would start to make people ill again, was appalled at her seeming recklessness, it was also possible to feel sorry for Mary. After the way she was treated, it was unsurprising that she would not want to do what the authorities asked of her. Keane manages to successfully evoke New York in the early 1900s and the atmosphere is heavy with diseases and potential unrest. I think she also captures Mary well. Of course, as she herself acknowledges in the afterword, there is no way of knowing if that was what Mary was like but she seemed real and of her time and I don’t think that you could do much more than that.